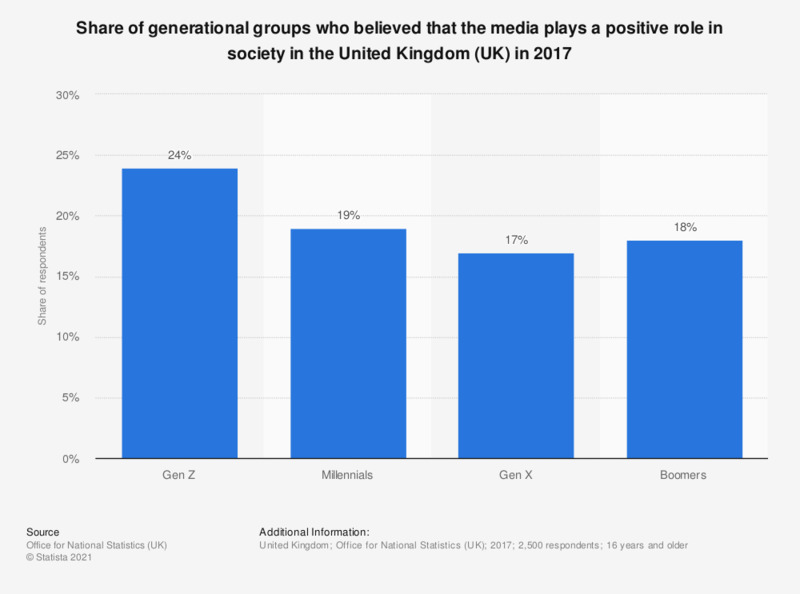 This statistic displays the share of respondents who believed that the media plays a positive role in society in the United Kingdom (UK) in 2017. Of the different generational groups identified, the group that agreed with this the most was the Gen Z group, with 24 percent stating that the media plays a positive role in society. The generational group that agreed with this the least was the Gen X group, with only 17 percent from this group agreeing that the media plays a positive role in society.